By default, when you edit a Grid in Blend, margins are preserved when you change the Grid layout, but the visual appearance of controls may change. 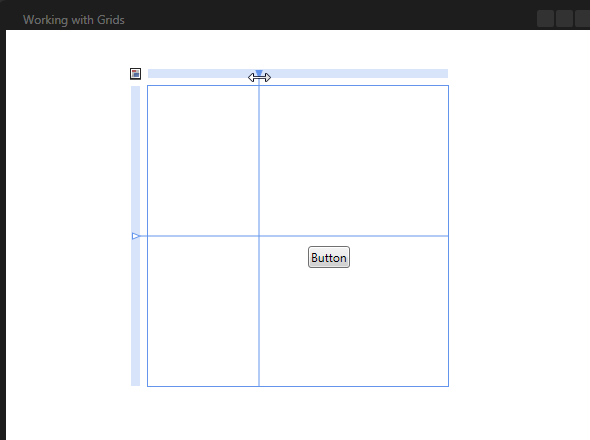 This is know as grid layout mode and is indicated by the small icon in the upper left corner of a Grid on the design surface. You can also switch to canvas layout mode, which allows editing the Grid in a mode that behaves a little more like the Canvas panel. 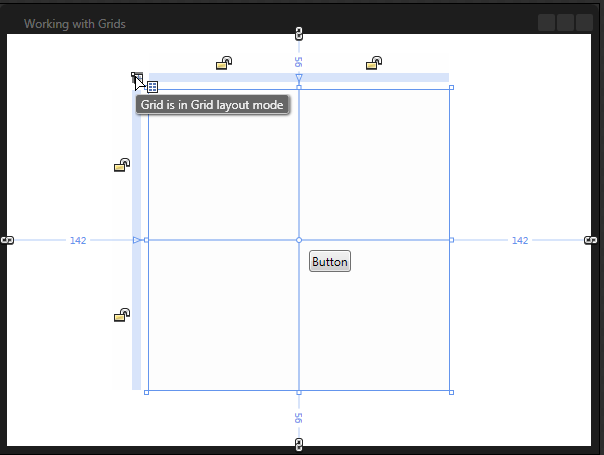 Controls retain their position and size and their margins are adjusted as Grid elements are resized. You can click on the icon shown above to switch to canvas layout mode. In the example below, I switch to canvas layout mode and then change the width of the second column. The Button’s position and size stay the same and its margins are adjusted.